How sensitive an ecosystem is to unforeseen environmental stress can be determined, according to Daniel Bruno, previous visiting researcher at Umeå University. The approach is to study how many species there are in an ecosystem and what proportion of these can replace species that are hard hit by environmental disturbances. Thanks to this new knowledge, we can predict how various ecosystems react to environmental disturbances, which is necessary to maintain these systems in a sustainable way. Environmental disturbances can be caused by human impact through agriculture, forestry and mining or by unforeseen events such as floods and extreme drought. Being able to understand how ecosystems react to disturbances is very important to researchers and conservationists. Increased stress caused by serious disturbances can jeopardise stability, resistance and resilience of ecosystems. 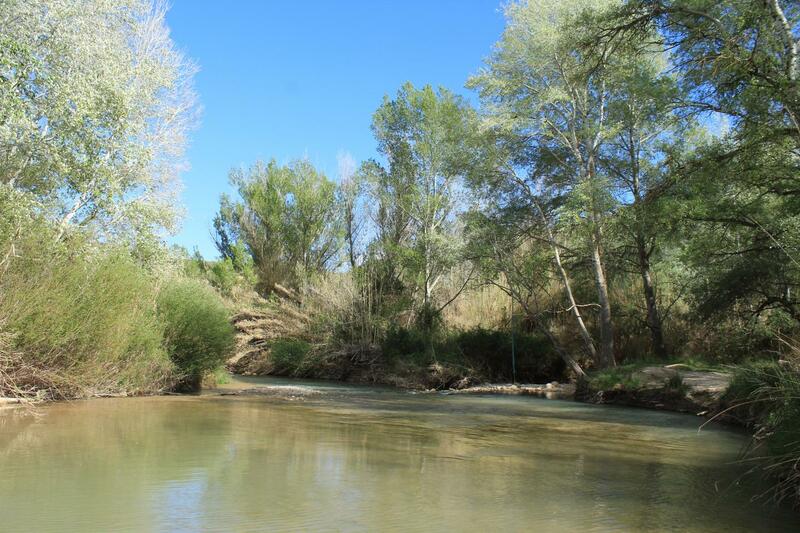 A European research group has tested several aspects of biodiversity by studying woody riparian plants in a Spanish river basin and compared various river reaches. The study covered river reaches that flow freely throughout the year, those that are regulated or to some degree affected by seasonal drought, as well as reaches in agricultural areas in comparison to those in relatively untouched nature. "As it turned out, the variable that in the strongest way related to the degree and type of environmental impact was the number of species with similar properties. We recommend for that variable to be used as a measurement of the ecosystem resilience to endure disturbances. At the same time, it can be used to determine what species could take over if others would disappear." The free-flowing river reaches in relatively untouched areas seemed to have more stable riparian ecosystems thanks to a wide range of species and having many species with similar functions that can step in if a species would disappear. Generally speaking, agriculture represents the largest impact and thereby causes the largest amount of stress in the riparian areas that were studied. Due to the exchangeability of plants being predictable, it can, for instance, be used on a large scale if you want to analyse the entire river system. "It can be trying to identify where river reaches can be restored or if there are reaches that are worth preserving as they are. The method can help conservationists to improve surveillance and maintenance of ecosystems," says Daniel Bruno. The project has been carried out with researchers from Spain, the United Kingdom and Sweden.